I didn’t know… toxic mold could make us sick. Until 2010 – when my son got suddenly sick. Everyone in our family had different health problems. Tempers, sleeping more, asthma, sniffles, nausea, vomiting, getting sick multiple times a year, headaches, bloody noses and forgetfulness, to name a few. When my son got sick it was different. He was sick for 9 months — without any good days. He was dangerously sick and there were days all I could do was pray and reassure my son that it would get better. I was researching what could be making him so sick. He had a positive Lyme disease diagnosis – but why was he not getting better with treatment. We had an LLMD who was prescribing multiple – combo antibiotics and even put him on IV antibiotics when he wasn’t responding to the orals. That’s when his white blood cell count dropped to an all time low – 2.7 – and I asked what happened when he gets to zero. We eventually discovered – after ruling out everything else – there was toxic mold hidden behind the walls and worse – it was in our air! Mold was in the air and that mold was “toxic mold” – a mold that releases mycotoxins – and that is why we were getting some nasty symptoms. We were breathing massive amounts of mycotoxins. We did air testing and dust testing. Both can be helpful in diagnosing a toxic mold problem. We had Stachybotrys (stachy for short) come back very high on air testing and moderately high on the dust testing. Stachy releases trichothecene mycotoxins – which explains how sick we were. We had over 80% of the symptoms listed in the Stages of Mycotoxicosis. We had almost all the symptoms in Stages 1 and 2 – and Stage 3 was a look into Scrooge – if something did not change – we would see Tiny Tim’s crutch by the hearth. What I didn’t know did hurt us. That’s why you should test – especially if someone is sick. A HERTSMI TEST is $150 plus shipping – you do it yourself and plug the results into a scorecard. It couldn’t be easier. If you want to test for more molds you can get the full ERMI or add a couple of molds. For a fee, you can add the quantitative PCR detection of Streptomyces spp., which resembles mold but is a Gram-positive bacteria that is often found in people. 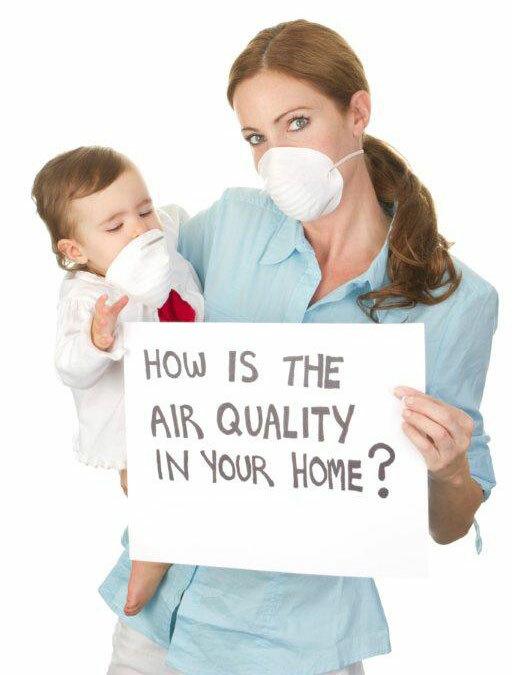 Another test that can be done by anyone is the HOME AIR CHECK There are tests for tobacco smoke, formaldehyde, Volatile Organic Compounds (VOC), mold and a test for all of these – it’s an air test and they send you the machine to use and the tests. I used to recommend this as a service – but the cost of 2 air tests for mold, formaldehyde and VOC’s has risen to $430 – that’s a lot! It used to be about $300 for 2 – if I remember correctly. Too bad. I have a Zefon air testing machine that I bought on ebay when I found a good deal. I got mine for a few hundred dollars a little over 3 years ago. I saw one for $500 today with a quick glance. I paid a few hundred dollars instead of a couple thousand for the full kit with the calibration tool. It works great. The Air-o-cel cartridges are less than $50 which includes the lab looking at them. There are several labs that you can have analyze them. I use Quantem Labs. Now that I know that toxic mold can make us sick I monitor and clean my air. I watch for leaks and I run Hi Tech Air Solutions in my home and any building I spend time in – it’s the only thing I have found to truly clean the air. Medical Doctors (MD’s) for the most part are still treating with Rockefeller medicine – Rockefellers took over the medical schools and created institutionalized medicine. This form of medicine was set up to sell patented medicine for profit. – and the old paradigm eventually falling away. Symptom care is sick care. We need health care & whole person care. Better care (now) is an out of pocket expense and if you don’t have money to pay for it you are in a bad situation. 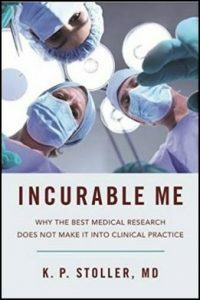 In the book Incurable Me, Dr. Stoller goes into the stealth epidemic of Lyme Disease. Lyme can mask as Alzheimer’s Disease and many other diseases. Kris Kristofferson is just one case of Alzheimer’s that got better when Lyme was diagnosed and treated. Dr. Alan MacDonald, who was one of the featured doctors in the movie, Under Our Skin found spirochetes in 100% of the brains of Alzheimer’s infected people – after they died. 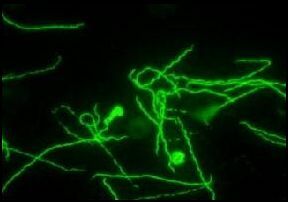 Spirochetes in the brain, spinning, spinning. Imagine a million tiny drills in the brain. Once the brain turns to jello – it’s pretty hard to walk back a 40 year old infection. Bee colonies and people are dying because of Glycosphate. World Health Organization (WHO) authorized the use of DDT to control Malaria! This idea is very expensive and dangerous – DDT is a persistent pollutant – it does not go away! This spraying of DDT is causing paralysis and entrovirus – in India 2011 – they said they eradicated polio – but the number of cases of non-polio acute paralysis went through the roof. They are using high amounts of DDT in India. Entrovirus is a benign family of viruses unless they find a body full of the pesticides. Then, the virus can cause paralysis. Girls going into puberty – men having low Testosterone – this is because chemicals are not being regulated – we are all being poisoned and the government agencies are letting it happen. 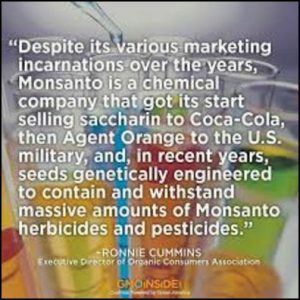 The organization that controls the seed cannot control the chemicals too. Monsanto is the largest producer of GMO seeds on the planet. They are the world’s leading producer of Roundup- an herbicide with the active ingredient glyphosate. Roundup KILLS EVERYTHING except the growing Roundup ready GMO crop. The government has been bought and sold. The CDC was founded to get rid of Malaria – they haven’t done that yet! Breast cancer and other diseases are caused by pollution and our toxic environment. Home unit hyperbaric chambers are 1.3 atmosphere – compared to 2.8 in the industrial hyperbaric oxygen chambers. Improves immune system. In England, Hyperbaric Oxygen chambers are the #1 treatment for MS patients. [17:40] They don’t know what they are treating – could be Lyme or a Retrovirus – they don’t cure MS – but they make those patients feel better. Lyme Disease (LD) leaves persister cells – Lyme vaccine woke up dormant Lyme Disease. The vaccine could be used to see if LD treatment was successful. When done with LD treatment – you could inject them with the vaccine and see if they get sick – The vaccine would wake up the persister cells and see if the person is actually Lyme Disease free. If they get sick again – pulse another antibiotic to kill the cells you just woke up. Alinia is great at ripping apart the biofilm of Lyme – 30% of chronic Lyme sufferers – can get well with Alinia. I wish there was a way of testing. Lyme testing is looking for antibodies. Lyme suppresses the immune system. The sickest people have no antibodies because their immune system is not producing antibodies – that is why they are so sick. Relapsing fever will not test positive for Lyme because Lyme is checking for Bergdorferi. 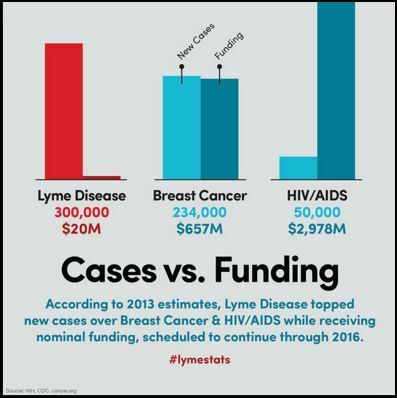 PCR Lyme test has 70% false negative – if you have 10 people with Lyme – only 3 will test positive. You could test those same 3 people again and they would test negative because there is a 70% false negative. Lyme is an STD and it can be passed congenitally. Lyme is passed from mom to baby. Doctors are brainwashed that Lyme is rare, easy to detect and easy to cure. In reality: Lyme is everywhere, it is hard to detect and difficult to cure. 25 years ago in Australia – they tested ticks and 40% had Borrelia – Australia still saying that Lyme does not exist. Map of states with the most schizophrenia and a map of the states with the most Lyme and they are the same map. Could be other infections too. Not always Lyme. Just because testing may come back negative, does not mean the person is not sick. Turn over more rocks. Look for a cause. The global negation of an illness. Beyond Neurenburg Trial offense. Spraying poisons – pesticides – and not acknowledging they are poisoning us. Zika – microcephilis – Northern part of Brazil – injecting pregnant woman n- and larvacide in the water – and they are saying there are 1,000 new cases a week of Zika – wealth transfer. Send the money for the vaccines and CDC for drugs. People are walking a razor’s edge with their immune systems – some trauma comes – and they are sick – really sick. Since I have learned about how dangerous Electrosmog can be, I have been looking for the best way to test and protect ourselves and our family from the damaging effects of electrosmog. EMF, ELF, VLF, whatever you call it, it messes with the brain, the hormones and the health of humans, pets and plants. ALL LIVING THINGS are threatened by high levels of electrosmog. Not only that but EMF exposed toxic mold can give off 600 times as many mycotoxins – making toxic mold more dangerous. The Stetzer and GreenWave filters are talked about in places where people know about dirty electricity – but I wonder how much they know about these filters – like they can actually add to magnetic fields if the wiring in the house is not done correctly. I found this video – where Michael Neuert is testing a couple of these Dirty Electricity filters using the Trifield meter AND other meters. The entire video is below – a couple of my notes from watching it. At 15:56 – he shows how sensitive the meters are to the body. He says – “you actually have to be careful about how you hold the meters how you influence the test.” How do you test a house, then? Do you shield yourself from the meter with silver glove? I’ve always wondered why different people have the same TriField meter I have and we all have different results from testing a common electrical appliance. I am beginning to get an understanding. Each house is unique, each person is unique and results may vary — widely! It doesn’t make either test wrong — it is all data we can use to improve our living situations. Not only that – but the TriField meter is not enough. 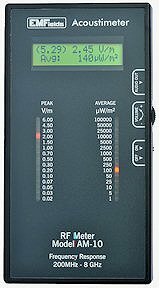 What to be aware of: We have found that the lower priced meters – especially the cheaper models that test several kinds of EMFs at once like the TriField and the Cornet meters – are almost more trouble than they are worth, because you cannot trust the measurements and there are recurring quality/variation problems. Thus we do not carry or recommend them. What Meters Does EMF Center Recommend? Some people actually feel worse when they use Stetzer and GreenWave filters, here is why. By Michael Neuert, an EMF test engineer with 23 years experience. 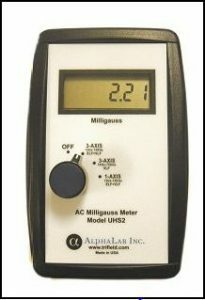 The Alpha UHS gaussmeter, used to measure the ELF magnetic fields from power lines, electric panels, electrical wiring, and appliances, and the VLF magnetic fields from fluorescent lights, LEDs, electronics and computers, sells for $299 on EMF Center and Less EMF. I did not find better prices on this gaussmeter anywhere else on the Internet. Even directly from AlphaLab, this meter is $310 – so this is a very good deal from EMF Center. There are some options for data collection on USB and recallibration services at the AlphaLab website if you are interested. 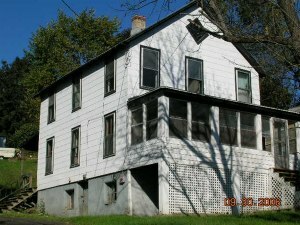 In most cases – there will be very little VLF – because you would have to be very close to a computer or another electrical appliance. 3- axis meter that can switch to 1 axis to find directional electrical frequencies. Most of the time, you are going to measure on the 3-axis setting. 1 axis is only for narrowing down sources – advanced testing. Write the data down – remember this is Milligauss! The Body Voltage Meter, used to measure the electric fields that are often anecdotally associated with EMF sensitivity and transport the dirty electricity signals through the air from the electrical wiring to your body, sells for $149 on EMF Center -we found the Body Voltage Meter for $89.95 or $129.90 with the grounding stake on LessEMF. – there is another add-on at Less EMF that says 50’ Banana Extension (Cat. #A291-ext)………………..$19.95 – so if this is included in the EMF Center order – that adds up to approximately the $149 they are asking. I’m not actually sure what all these add-ons are… still researching. I would love some info if you have any. Helpful video instruction by Michael Neuert, an engineer with over 23 years experience testing electromagnetic fields – how to test using the Body Voltage Meter. For measuring the radio frequency fields, there are three meters EMF Center recommends. There is a new Acoustimeter on Ebay for $362.58 and Free Shipping – this can change daily – but worth a look! If you are on a tight budget, the Acousticom is usually sufficient and sells for $199 on Less EMF and $229 on EMF Center. This is s $30 savings if you purchase from Less EMF – this negates the savings you would get if you get the 3 meter combo package from EMF Center(below). Knowing this, you would still have to compare shipping rates between Less EMF ($)? and EMF Center ($15) to see which is the better overall deal if you want to get all 3. There is a new Acousiticom on Ebay for $180 plus $7.15 shipping – this can change daily – but worth a look! A reliable meter with an economy price. Great for checking radiowaves from smart meters, wi-fi, cellphones and towers, and just about every RF source you are likely to encounter at home or in the office. Covers an amazing 200 – 8000 MHz with ±6dB accuracy. 8 LED light bar indicates field strength in V/m so it is very easy to interpret and has a very fast reaction time. Best of all, it has a dual sound feature which you can turn off if you want: Demodulated sounds allow you to hear intensity, and with a small amount of practice, what type of device is creating the microwave signal. Plus, an “alarm” sounder which emits a pulsing warning at higher exposure levels. Read more at LessEMF.. I found the TES 593 for $389.97 & Free Shipping on Amazon – prices can change daily. On Ebay – there are TES 593 shipping from China and Hong Kong for as little as $346.39 if you want one that (supposedly) ships from inside the U.S. prices start at about $419 on Ebay. Still worth looking. This breakthrough in higher frequency RF measurement covers 10 MHz to 8 GHz and great for digital and analog RF signals. 3-axis (isotropic) measurement. Includes audio alarm with adjustable threshold and 99 point manual memory function. Extremely sensitive: 20 mV/m to 108 V/m (equivalent to 0.1 nanoWatt/cm² to 3 milliWatt/cm²). 4-digit LCD display offers V/m, A/m, W/m², or µW/cm². Choose to display instantaneous value, maximum value, or average. ±1dB accuracy or better. Uses 9V battery. 1 year factory warranty. Model TES-593. Discounted 3 meter combo packages from EMF Center: We (EMF Center) also offer discounted prices for packages which include all three meters needed to measure all three different kinds of EMF. 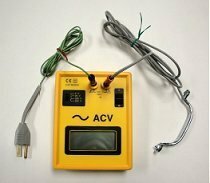 All the packages include the Alpha UHS gaussmeter for the magnetic fields, and the Body Volt meter for the electric fields. Your choice is which radio frequency meter to use. For most people, we recommend the 3-meter package with the Acoustimeter. This sells for $819, at EMF Center — which is a savings of $28 compared to purchasing individually. This same package from LessEMF is $883.25 – more if you are in New York State because there is $75.08 tax in NYS. For tight budgets, the 3-meter package with the Acousticom is adequate for most people. It sells for only $649, saving you $28 compared to purchasing individually. And the 3 meter package with the TES 593 sells for $919, saving you $28. In all cases, the shipping fee is only $15 for the entire 3-meter package. My conclusion, as of October 25, 2017 is that the best deal would be to get the Body Voltage Meter and the Alpha UHS gaussmeter from EMF Center – and get the TES 593 from either ebay or Amazon. I haven’t ordered yet. I might order for my own experiments… but it’s a big investment with no return. I am trying to decide whether this is a business I could help people with, given my sensitivities to mold. I would have to enter people’s homes to do the testing and mold messes with my brain. I am not sure I would want to expose myself to moldy buildings – and in my experience over 50% of buildings are moldy. This entry was posted in Health and tagged body voltage meter, emf, emf center, gaussmeter on October 22, 2017 by Heather Plude.